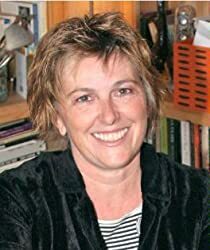 Angie Sage is both an author and illustrator. She loves the sea, spooky old houses, and medieval England. Ms. Sage has created many books for children, including the Araminta Spookie series. 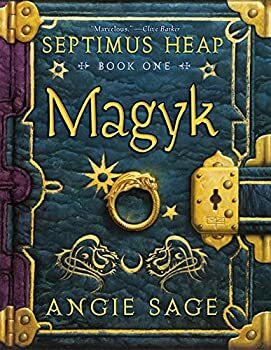 Read excerpts of all of the Septimus Heap novels at Angie Sage’s website. CLICK HERE FOR MORE STORIES BY ANGIE SAGE. Septimus Heap — (2005-2015) Ages 9-12. The Magykal Papers is a related story collection. Publisher: The seventh son of the seventh son, aptly named Septimus Heap, is stolen the night he is born by a midwife who pronounces him dead. That same night, the baby’s father, Silas Heap, comes across a bundle in the snow containing a new born girl with violet eyes. The Heaps take this helpless newborn into their home, name her Jenna, and raise her as their own. But who is this myster ious baby girl, and what really happened to their beloved son Septimus? The first book in this enthralling new series by Angie Sage leads readers on a fantastic journey filled with quirky characters and magykal charms, potions, and spells. magyk is an original story of lost and rediscovered identities, rich with humor and heart. Septimus Heap: Todhunter Moon — (2014- ) Ages 9-12. Introducing Alice TodHunter Moon, a Magykal addition to the world of Septimus Heap! Perfect for both established fans of the Septimus Heap series and readers coming to the world of Septimus Heap for the first time, PathFinder is the first book in the Septimus Heap spin-off series, TodHunter Moon. Taking place seven years after the events of the original Septimus Heap series, PathFinder tells the story of Alice TodHunter Moon, a young PathFinder who leaves her seaside village in search of her friend Ferdie. Rumor has it that Ferdie has been taken by mysterious creatures called Garmin under orders from the malevolent Lady. Full of Angie Sage’s characteristic humor and heart, PathFinder introduces a new cast of young characters—and a new kind of Magyk. 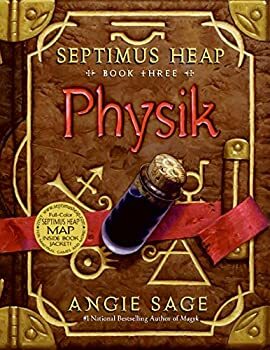 All the beloved characters from Septimus Heap are here, too—Tod receives help from ExtraOrdinary Wizard Septimus Heap, Ex–Extraordinary Wizard Marcia Overstrand, and Alchemist Simon Heap. A great addition to any fantasy reader’s library! 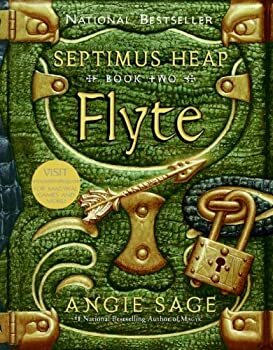 As the sequel to Angie Sage's first novel Magyk, a pre-teen wizarding fantasy heavily influenced by the HARRY POTTER series, Flyte picks up a year after the events of the first story, in which the magical Heap family discovered several amazing secrets about their past. Namely, that their adopted daughter Jenna was in fact a princess and that a young nameless boy they picked up in their adventures was their long-lost son Septimus, the highly gifted seventh son of a seventh son. Together, the two siblings found a beautiful Dragon Boat, defeated the evil wizard DomDaniel, and rescued the ExtraOrdinary Wizard — with Septimus becoming Marcia Overstrand's Apprentice in the process. I gave this book's predecessors rather lukewarm reviews, finding them a little too simplistic and reliant on the success of Harry Potter, with rather weak villains and too many periphery characters to keep track of. However, all that changes with the third installment in the series, which has a sophisticated plot with an intriguing resolution, a truly unnerving villain and a very real sense of danger and suspense. The protagonists of the series are Septimus and Jenna Heap, the former the Apprentice to the ExtraOrdinary Wizard and youngest son of the Heap family, the latter a long-lost princess raised by the Heaps who has recently found her heritage as future-ruler of the land. Together, they make a good team and are friendly, likeable and intelligent characters in their own right. Araminta Spookie — (2006-2015) Ages 9-12. Publisher: Araminta Spookie lives in a wonderful old haunted house, but her crabby aunt Tabby wants to move. Aunt Tabby is determined to sell their house — Araminta has to stop her! With the help of a haunted suit of armor named Sir Horace, a ghost named Edmund, and a lot of imagination, Araminta hatches a plot for an Awful Ambush that is so ghoulish, it just might work! CLICK HERE FOR MORE TITLES BY ANGIE SAGE.